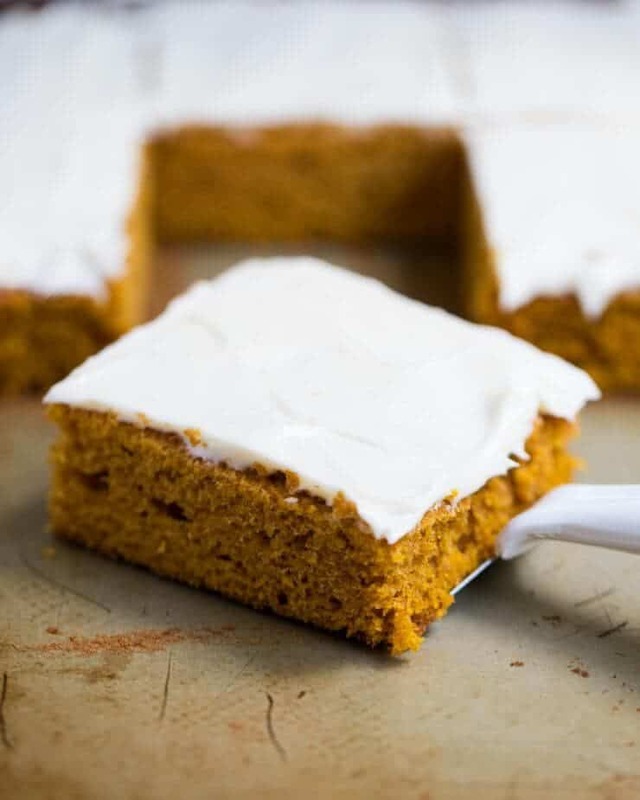 The BEST pumpkin bars with cream cheese frosting – A super soft pumpkin spiced sheet cake topped with a delicious creamy topping. This pumpkin bars recipe will become your new favorite fall staple! I love to bake all things pumpkin as soon as fall hits. These pumpkin bars taste seriously divine, as well as my pumpkin chocolate chip cookies, pumpkin coffee cake, pumpkin cream cheese bread and pumpkin dump cake. It’s pumpkin time – one of the best times of year. One of my ALL time favorite pumpkin desserts is pumpkin bars! However, they must be super moist and fluffy with rich cream cheese frosting. Don’t get me wrong… I love everything pumpkin but these easy pumpkin bars just seem to beat them all. If you’re looking for a homemade pumpkin bar recipe from scratch – look no further! This pumpkin squares post was original posted in 2012, but I had to bring it back for all my new followers. 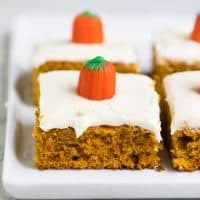 I even updated a few photos for you :) These pumpkin bars with cream cheese frosting are everything I love about fall. I first got this pumpkin bars recipe when I got married and have made them every year since then. They are a fall staple around our house. My kids love to decorate them with candy corn and pumpkins. You can always sprinkle a little cinnamon or nutmeg on top of the easy pumpkin bars as well. 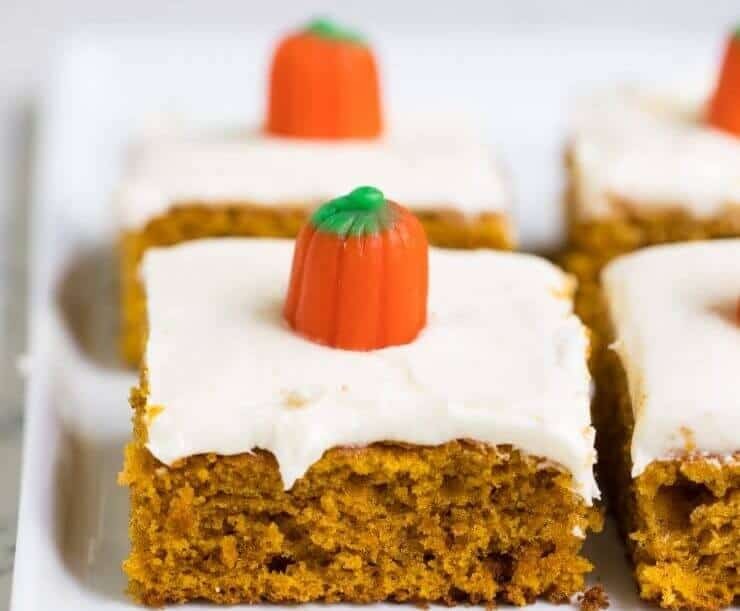 These pumpkin bars are simple to make and taste absolutely delicious. 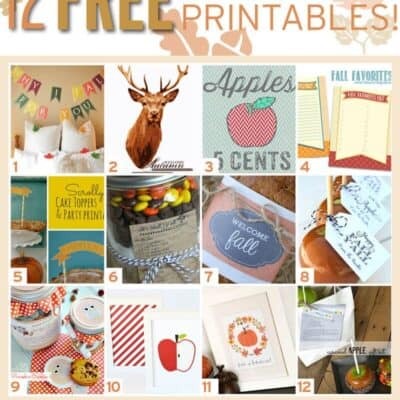 Scroll down for the printable pumpkin bars recipe. 1. Gather all your ingredients. Preheat the oven, butter your pan and set aside. 2. 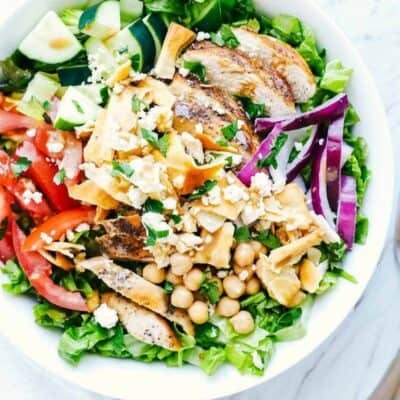 Start mixing your ingredients together. I find that sifting the flour and spices together makes these bars extra fluffy. I also find not over-mixing the batter helps the pumpkin bars to stay nice and fluffy. 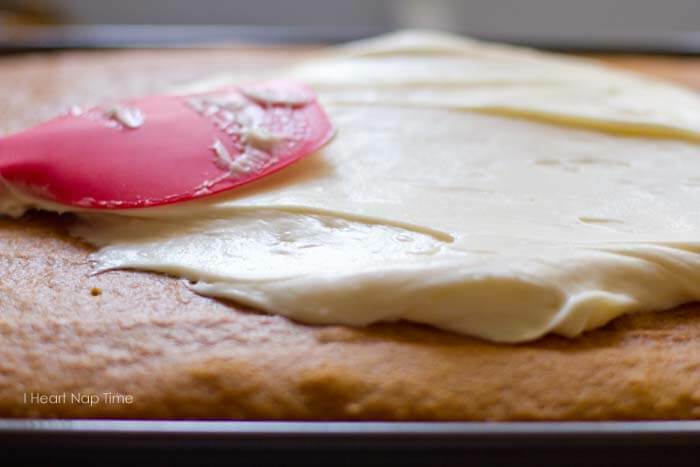 The BEST pumpkin bars with cream cheese frosting - A super soft pumpkin spiced sheet cake topped with a delicious creamy topping. This pumpkin bars recipe will become your new favorite fall staple! Preheat the oven to 350°F. Butter a 15×10 inch jelly roll pan and set aside. 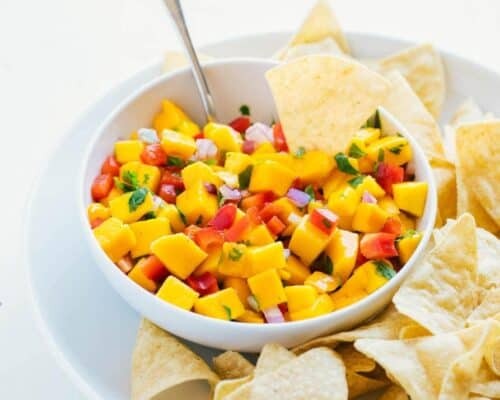 In a large bowl beat eggs, sugar, oil and pumpkin just until combined. 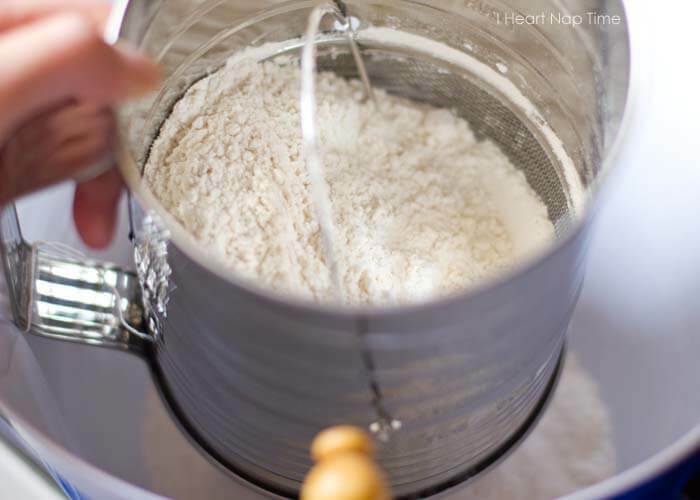 In a medium sized bowl sift together flour, baking powder, cinnamon, salt, soda, and spices. Add to pumpkin mixture and stir just until combined. Spread in greased 15×10 inch pan. Bake for 25 minutes, or until lightly browned and a toothpick comes clean. Allow to cool. For the frosting, cream together cream cheese, butter and vanilla. Gradually add powdered sugar. Beat until smooth and creamy. Frost on pumpkin bars. Slice into pumpkin squares and enjoy! You can also use a 9×13″ pan for a thicker bar. Cook for 30-35 minutes. 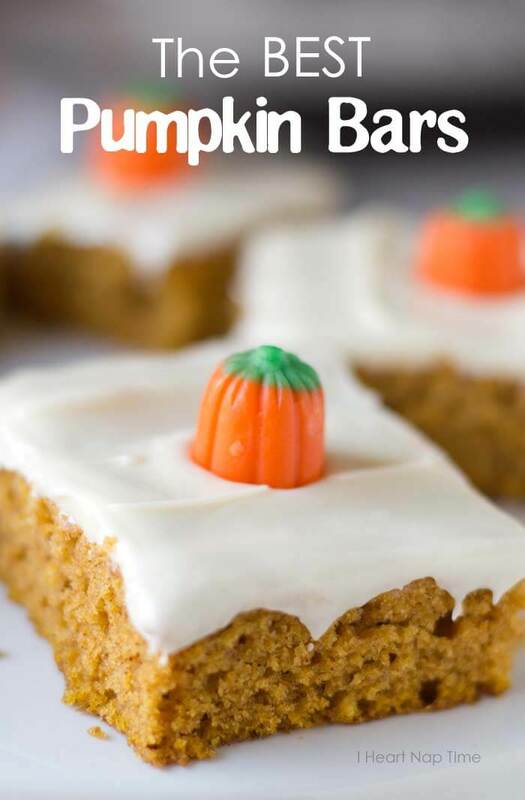 Come on over and grab yourself a plate of these easy pumpkin bars and glass of milk! Enjoy! Cake is great but the cream cheese frosting has far too much butter in it. 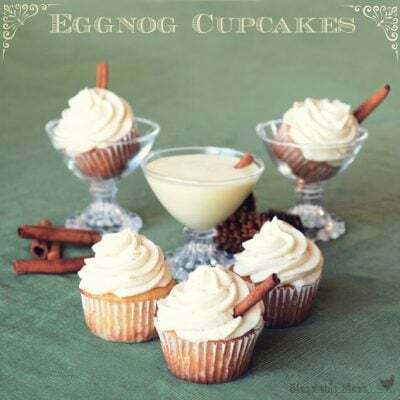 I would recommend cutting it to 4 tablespoons of butter for a creamier much easier frosting to spread. This really is the best pumpkin bar ever! How long do these store for? They’ll stay fresh for 3-4 days covered in the refrigerator. My can of pumpkin purée is 15 ounces. 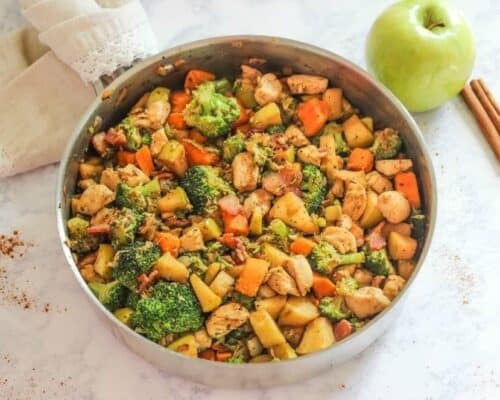 Please tell me how to adjust my recipe. These are so good! I love all things autumn. I love the pumpkin squares! 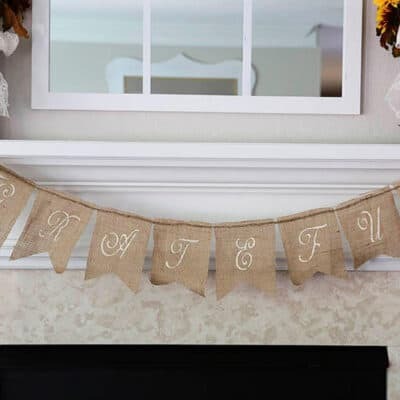 Just made them for fall get together.